We specialise in supplying our clients with any type and size of airport LED signs. Our products include both small and large, single line and double line displays either in single colour, multi-colour or full colour and much more. LED signs are highly effective visual display devices that enable a continuous and dynamic flow of all relevant information and the ability to instantly change and replace content on demand. Each airport has to be properly designated from both the outside and inside. The designation always provides simplicity and the best organisation for the flow of passenger and vehicular traffic. Advertising transfer and location points that need to be displayed for information purposes. Indoor LED displays are the best possible way to publicise all kinds of information which have to be noticeable for lots of people. 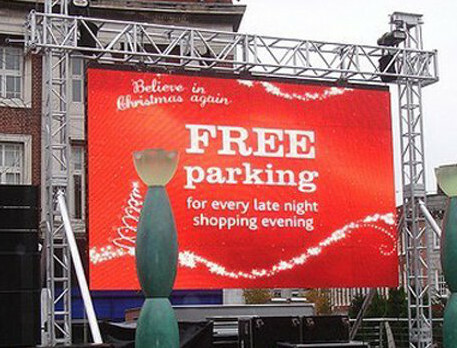 Our company provides all sorts of indoor outdoor and LED screens for all sorts of services. The services may cover such issues as terminal flight schedules, ticket counter displays, terminal clocks and dates, arrival and departure boards, baggage information, weather information, news, etc. Outdoor LED signs offered by us are helpful in cases such as directions to parking facilities, their capacities, airport marking signs, information about unattended vehicles, time and date displays, terminal markings placed outside the airport facilities, bus arrivals and departures and every other use that relates to outside airport facilities information. All LED screens and boards can also be used for marketing purposes related to airport issues or they can simply be placed outside to advertise any relevant content that our customers perceive as interesting, important, or entertaining. When provided with our high class LED signs, our clients can expect a professional and guaranteed sytem for their specified requirements.